Elkagorasa the Casual: OMG! Epic Rainbows! At my child's Elementary school, they are getting all rev'd up for St. Patricks day. 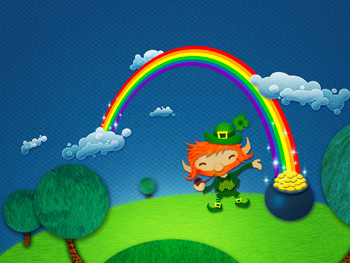 For them, this means 4-leaf clovers, leprechauns and rainbows with pots of gold at the end. My youngest is looking for us to set up a leprechaun trap in the house, so we can capture one and he can share his gold with his class. (IDTS, it's all MINE!!) Guess we'll have to see what we catch.. 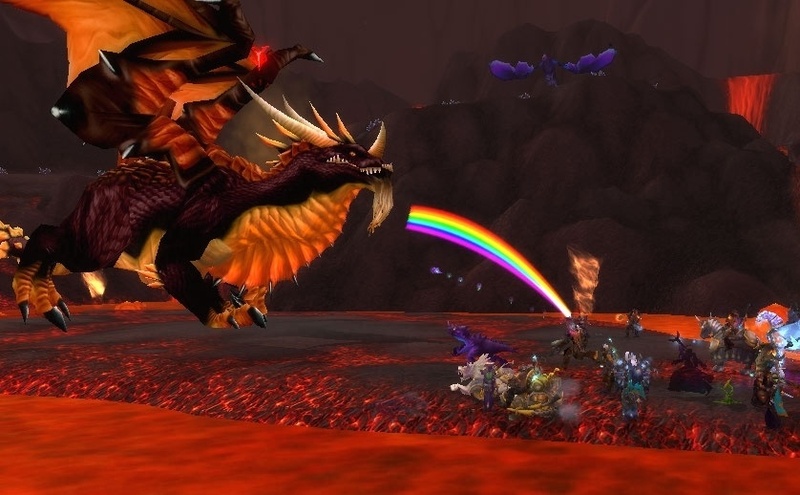 Results for treasure found at end of rainbow will vary. If this trinket didn't have a 10-minute cooldown, I think it would be a friendly way to complete the Critter Killer achievement. Blinding them with rainbows, sounds so much friendlier than flames. Sadly, it doesn't even do enough damage. Now you can go for the gold with our own double rainbow. Found inside the Battle for Gilneas battleground, near the Waterworks. Stand here and do the /gasp emote for an achievement. 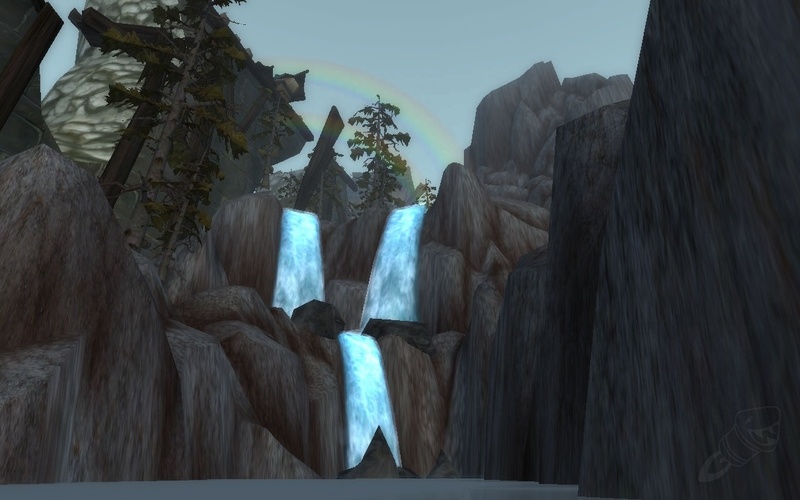 I look forward to seeing a triple rainbow generated here at the base of these falls.